Flipkart brings an exciting offer on Le 1s which is a premium mobile which high end specifications. Le 1s smartphone has been launched only by Flipkart India at a price of Rs.10,999. Le 1s sale is now open for bookings in flipkart. At Flipkart Le 1s can be purchased in EMI of different banks for Upto 18 months. Find all the details in the Flipkart page from the link below. Use Flipkart Coupons to buy this Amazing Mobile. Login To Flipkart Page before clicking the link. Le 1s comes with a 13MP primary camera with high-definition clarity that features Samsung ISOCELL technology and a blue glass infrared filter. This camera has an F2.0 aperture and is capable of 0.09 seconds fast focus. So you can store your memories in HD quality. Le 1s also have a 5MP secondary camera for your selfie love. 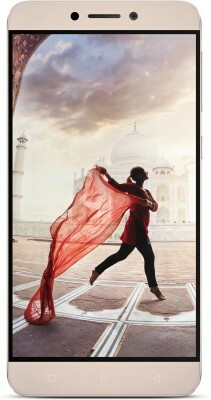 Le 1s comes with 5.5-inch Full-HD Display. The Image clarity is excellent and Your movie viewing experience is awesome. It's screen is Touch and scratch proof so there is no need to worry using your Mobile. 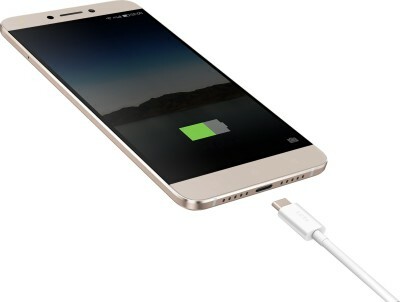 Le 1s comes with an Octacore Helio X10 Turbo processor (64-bit) which clocks at 2.2 GHz and 3 GB of RAM, the Le 1s opens web pages in an instant, switches between apps within seconds and streams high-quality videos without any glitches. Le 1s Comes with a 32GB internal memory so all your files, movies and data have enough space. You can also extent memory upto 64GB by using memory card. Le 1s also features 3GB RAM to store all the application data which allow the Mobile to work 3x Faster. One feature that you need from any featured mobile is Fingerprint scanner that can keep all your Data safe and secured. Le 1s can only be unlocked by your Fingerprint. Apart from unlocking the screen, you can use this fingerprint scanner to take photos too. This device comes with a high-density fast-charging battery and a Type-C 24-watt charger, so you'll never run out of charge. Le 1s have been Rated at 4/5 by user rating. Camera quality is good, some heating issues before updating, perfect for multi-tasking. To Buy this Amazing Le 1s Smart phone (Gold) click the button below. To Buy Le 1s Smart phone (Silver) click the button below. Also see Bose Speakers with more than 30% off here.